What is the Tellus Advantage? Reduced construction schedules - Tellus superstructures and individual components are manufactured off-site while the building is in for permit allowing for speed of vertical construction and reduced construction schedules. 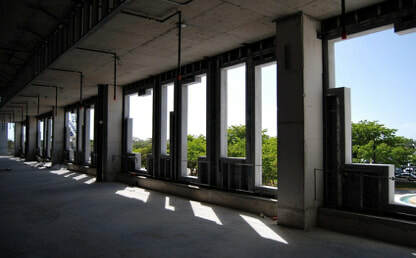 Fewer building inspections - Compared to traditional CMU block construction, Tellus eliminates 5 building inspections. Smaller foundations & structural requirements - Tellus components are 40% lighter than traditional tilt-up, precast, and CMU block construction reducing foundation and structural system requirements. Smaller cranes - Typical Tellus wall panels can be erected with a 70 ton hydro crane at $200/hr. port-to-port, compared to traditional tilt-up and precastthat require a 250 ton plus crane at a cost of $3,000-$5,000/day and a minimum of $18,000 in/out mobilization charge. Eliminates water leaks - Tellus wall panels come standard with finished window and door punched openings that have monolithic returns which eliminates the need for wood bucks which are a major cause of water leaks. 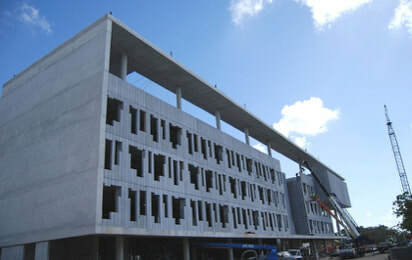 The Miami-Dade College project posed a host of design and engineering challenges. 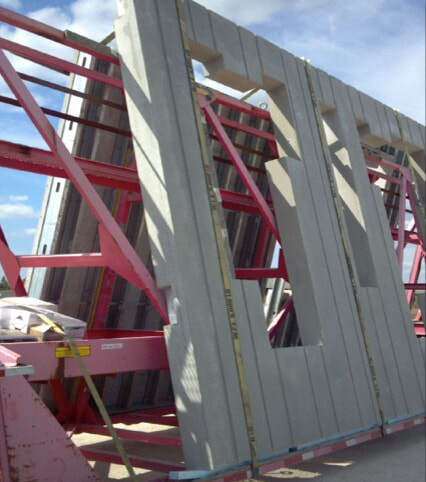 Tellus met these challenges with concrete composite wall systems with highly customized large window openings while meeting the 175 MPH wind load requirement. This would be unattainable utilizing conventional construction methods.